Think about the various occasions you are likely to have in your new country. Will you be required to wear formal clothes every day? Are you excited about some outdoor activities your adoptive homeland will offer? What will the weather be when you arrive? Start following it on your weather app two weeks before the trip. Modify your travel kit. These are some of the things I would certainly take with me if I was to move countries again. 1 – large scarf, which doubles as a blanket, a shawl or a cushion when needed. 2 – a black wrinkle-proof blouse. I’ve had it since my first big trip to Japan. It’s easy to combine with any colours and suitable for formal-ish occasions. 3 – ‘hippie’ trousers to wear at home or at the beach, or to put on top of something shorter when you need to enter a temple or something. 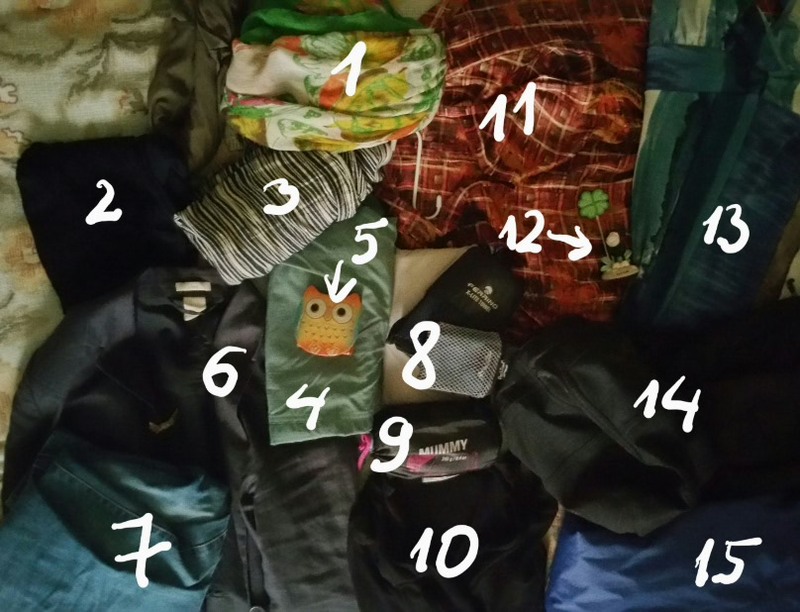 4 – fast-drying Adidas trousers I got for my trip to Thailand. 5 – something small and practical given to you by your friends or family. Your new home might look sterile and lonely for a while, so it’s essential to have something that brings good memories. At the same time, there’s no reason to clutter the luggage and the new place. In my case, I brought an owl-shaped jewellery box given to me by my habitual travel companion, Ugnė. 7 – there’s no way to be without a pair of jeans, especially in winter. 8 – a set of smart towels: beach, hand and body towels optimised for travel (fast-drying, extra compact, etc). 9 – sleeping bag liner to avoid frantically searching for bed linen around your new place, for staying with friends until you find a place, or for various other occasions. Plus the other things I got for my trip to the US. 10 – a top that is actually only connected sleeves. It transforms a T-shirt into a somewhat smart-casual long-sleeved top. 11 – a silk blouse, which takes next to no space and makes me look effortlessly chic. 12 – a nostalgia item. In my case it’s a monkey photo peg, in which I keep printed photos of people I love. 13 – a dress, and I say this as someone who doesn’t like dresses. There are some occasions where a dress is extremely practical, and the beach is one. In my case it’s a thin wrinkle-proof summery dress which can be transformed into something more formal with No. 10 and a necklace, or sort of smart-casual with No. 14. 14 – my new most amazing amazingness, a linen blazer which looks respectable but is comfortable and wind-proof. Its previous owner, who sold it to me at a clothing swap in Malta, told me that I’ll want to wear it all the time – and I do. 15 – a windbreaker jacket. Thin enough for late spring and Northern summer, it can be boosted for warmth with some sweaters underneath. And yes, the rest of the space reserved for clothing in my suitcase would be turtlenecks and a couple of sweaters. When it comes to shoes, I’d say, winter boots (yes, I need them even in Malta), running shoes, ballerinas, sandals and some kind of formal shoes, and/or anything that the seasons demand. Once you make a set like this, you’ll be good to go for at least a few weeks in your new location, if not longer. And you’ll also have space in your suitcase for exotic goodies from your country to surprise any new friends you will make.